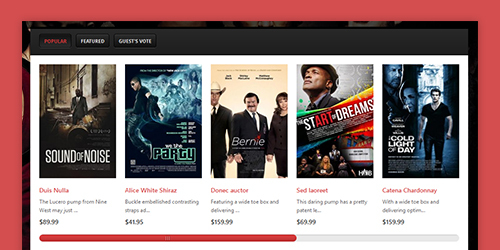 Multi-purpose eCommerce Magento theme which is best suited for Movies & Entertainment sites. Dynamic layout, impressive design with 5 powerful Magento extensions packed in. 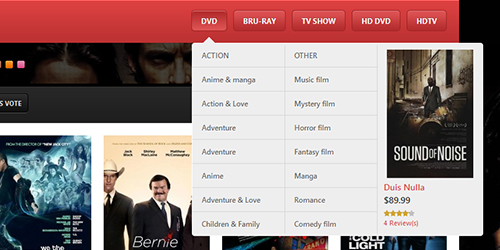 With the support of Mega Menu, your customers can quickly navigate through tons of categories without feeling lost. 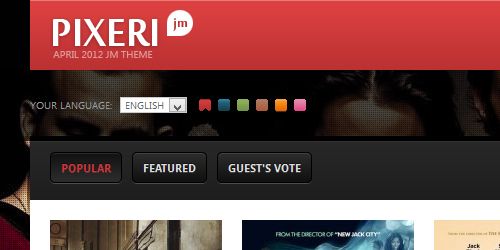 Pixeri is packed with 6 hot color themes that you can choose from: Red, Blue, Green, Brown, Orange and Pink. How to install jm-pixeri on gomagneto.com?